Has anyone seen March? I'm not quite sure where it went...! Holy moly time is flying by. The temperatures are heating up (even more) which is a problem because I still haven't gotten the air conditioner in my car fixed. It's like every day I have my own personal sauna on wheels. Not enjoyable. My goal in the next couple of weeks is to finally make my way to the beach. I've had a yearning to just sink my toes into the sand and acquire awkward tan lines. I have a few one-piece suits, including this one by Volcom, that are screaming for some salty air. On the pursuit of happiness! 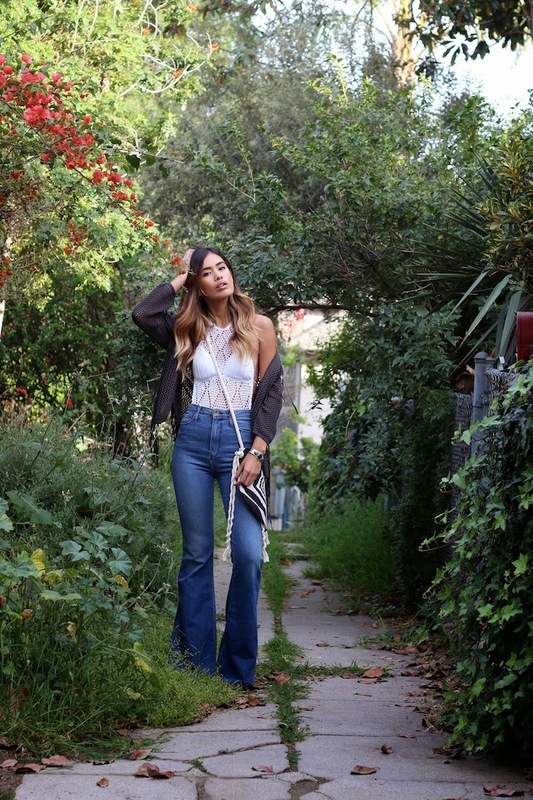 That first image is so beautiful and I love your boho bodysuit! Such a nice outfit! 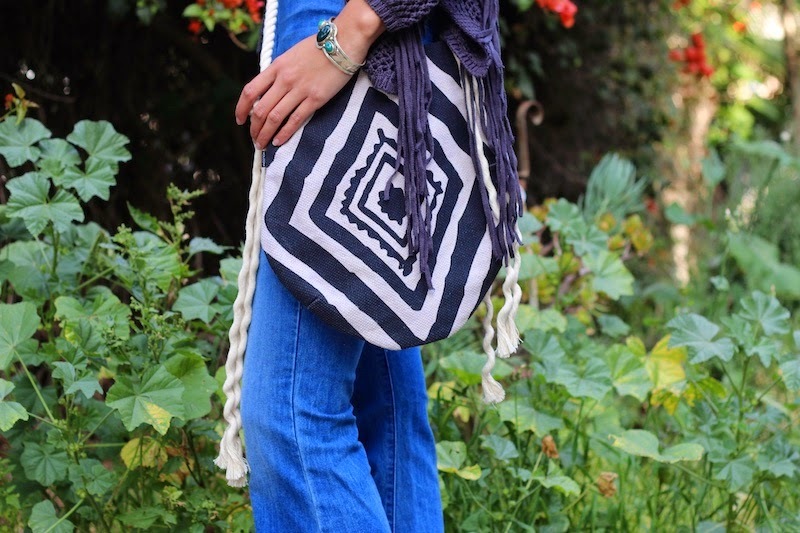 Love the crochet top and how you styled it with the flared jeans! LOVE this! 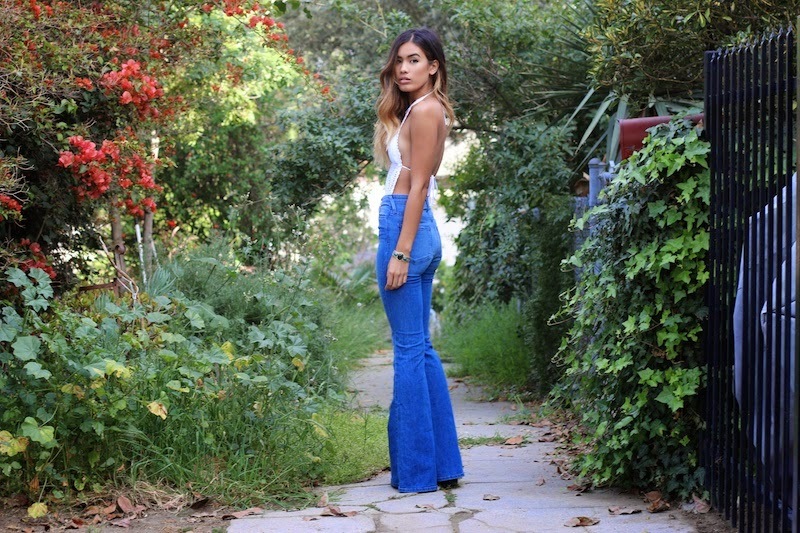 The flares are gorgeous and look amazing with that top!